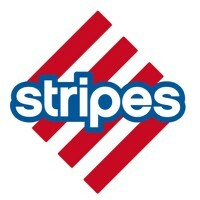 Stripes Stores is an American convenience store chain with more than 700 locations in New Mexico, Oklahoma, Louisiana, and Texas. They also operate other brands such as Quick Stuff and Ice Box. In 1938, Minna Susser, and his husband, Sam, began with 2 service stations that she inherited in Corpus Christi, Texas. In the 1960s, Sam and Jerry Susser, their sons, joined the company to make it the world’s original pay-at-the-pump system. In 2016 Social Media Awards by Convenience Store Decisions, the company won the Most Twitter Follower Growth in 2015 with a growth of 269% and they also won the Best Holiday Promotion with their 12 Days of Monkey. The company offers its employees a huge variety of benefits such as a prescription card service, disability insurance, dental & vision plan, and a life insurance. Other benefits include sick leaves, paid vacations, a 401K plan, and flexible spending accounts. Employees love working for the convenience store chain because it is a fun, productive, and fast-paced workplace. They also love the good management and how the employees are nice to each other. Aside from having the necessary skill set, job seekers must ensure that they pass the company’s minimum age requirement of at least 18 years old. The company offers not just jobs, but, fulfilling careers for applicants who can help them deliver the best experience for the customers. Cashier: Cashiers ensure that the customers get a convenient checkout experience. They operate the store’s cash register. Their duties include receiving payment, putting the right figures into the system, giving change, and bagging products. They also answer questions from customers and provide information about the products. Cashiers need to have good customer service skills. Sales Associate: Sales associates provide assistance to the customers. Their duties include greeting customers, answering questions, helping customers get the products from the shelves, and finding certain goods. During busy days, they can also be asked to operate the establishment’s cash register. Sales associates need to have good customer service skills. Maintenance Technician: Maintenance technicians take care of the establishment. Their duties include repairing damages, plumbing, carpentry, painting, and doing damage prevention measures. They also do janitorial tasks such as sweeping floors and cleaning windows. Maintenance technicians need to be physically fit since they often work under extreme conditions. Financial Analyst: Financial analysts provide insight to the company regarding financial matters. They study financial data and explain it in a way that the management can understand. They also look for irregularities or mistakes in the data. Financial analysts are required to have attention to detail and extensive knowledge in finance. Dispatch Clerk: Dispatch clerks help in making sure that the warehouse is managed efficiently. Their duties include determining if the correct products arrived and that products get to their designated destination. They also do inventories and check product quality. Dispatch clerks need to have good organizational, time management, and multitasking abilities. Help Desk Representative: Help desk representatives deal with customers in the company’s behalf. They answer calls and emails from customers. Their duties include responding to queries, providing suggestions, listening to complaints, and handling returns or refunds. Help desk representatives need to have good customer service skills and the patience to handle difficult customers. Gas Attendant: Gas attendants provide service to the customers at the gas stations. Their duties include pumping gas, checking engine oil levels, cleaning car windshields upon the customer’s request, and checking tire pressure. Gas attendants need to have good customer service and multitasking skills, as well as good knowledge of the area so they can give directions to the customers. Employee Benefits Manager: An employee benefits manager ensures that perks are given to the employees promptly. Some of the duties of an Employee Benefits Manager include determining benefit vendors, how much the employees should be paid, and keeping the program within the budget. Store Manager: Store managers watch over the establishment’s day-to-day operations. They direct employees and observe how they work. They also act as quality control by checking product quality and talking to customers to ensure of their satisfaction. They also manage the payroll and paperwork. They also make business and staff-related decisions. Assistant Store Manager: Assistant Store Managers assist the Manager in overseeing the establishment’s day-to-day operations. They do a variety of jobs such as operating the cash register, providing customer service, and ensuring that everyone is doing their job. If the manager is absent, it is their duty to assume the leadership role. For applicants who wish to land a job at Stripes, all they need to do is to gather all of the requirements, and submit an application to any of the company’s location. For applicants who do not wish to leave their houses, they can make an online application. They just have to submit their application in the careers section of the company’s official website. In filling out the application form, the applicants must read the instructions first to avoid mistakes. They should also review their personal information so they can include anything relevant to their application. For the resume, job seekers must use a format that can promote their credentials. They should also prevent filling the resume with irrelevant information, which can make it tough to read. To prepare for the interview process, they must study the commonly-asked interview questions for the job that they are applying for. They can also do a practice interview with a friend to increase their confidence. Employees love the culture at Stripes, where the management treats the staff in the same way that they treat customers to make life convenient for everyone. In 2017, the company announced that they have sold all of their locations in West Texas to 7-Eleven Inc. As part of the deal, Sunoco, their parent company, will supply gasoline for the stores for 15 years. The company is known for selling high quality products in their convenience stores and also for offering petroleum. They are also known for having many store locations which can be easily accessed by customers. In 2014, the company broke the records when they raised more than $1.4 million in their fundraising campaign for the MD Anderson Children’s Cancer Hospital. 1 How old do you have to be to work at Stripes?